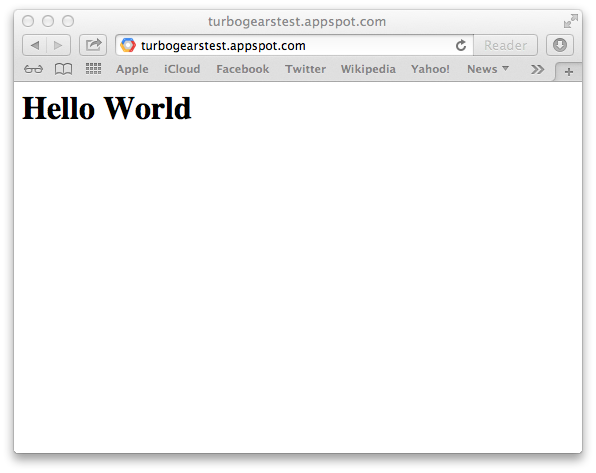 This recipe describes how to create a minimal mode TurboGears application under Google AppEngine. Install the AppEngine SDK from https://developers.google.com/appengine/downloads#Google_App_Engine_SDK_for_Python The following guide uses the AppEngine SDK for OSX. 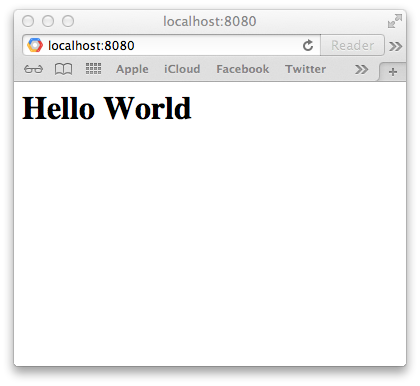 First required step is to create an AppEngine application, this can easily be done through the AppEngine SDK. 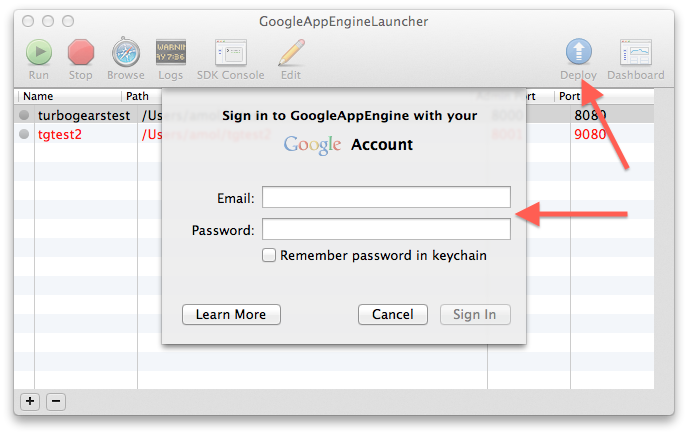 If you are not using the AppEngine SDK for OSX please refer to the AppEngine Documentation to create a new application. On AppEngine, all the dependencies of you application should be provided with the application itself. This makes so that we are required to install TurboGears inside the application directory. Depending on your virtualenv command version, the --no-site-packages option might not be required. Please note the -I option to force pip ignoring the currently installed packages. Now we can proceed editing the main.py file which is started by AppEngine to run our application and actually write a TurboGears application there. if something went wrong, you can press the Logs button and check the application output. Now that your application is correctly running locally, it’s time to send it to Google servers. First required step, is to let google know that our application exists. To do so, point your browser to https://appengine.google.com/ and press the Create Application button to create a new application. replace turbogearstest with your own app identifier. 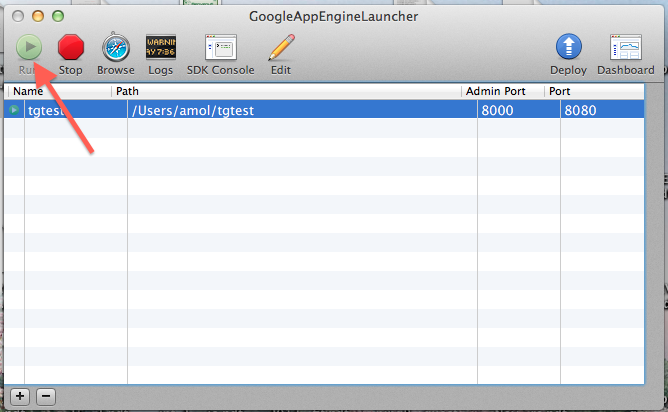 Now get back to the GoogleAppEngineLauncher and press the Deploy button. It will ask for your google account credentials, and will then proceeed with the deploy. As soon as it finished the deploy, your application will be available online at the reserved URL. Which is in the form APPID.appspot.com, in our example we can point the browser to http://turbogearstest.appspot.com and get our application output.